Two of the Baltimore police officers charged in the death of Freddie Gray are suing State’s Attorney Marilyn Mosby. Sgt. Alicia White and Officer William Porter filed a lawsuit against Mosby, Baltimore Sheriff’s Office Maj. Sam Cogen and the state of Maryland in Baltimore circuit court for defamation and invasion of privacy, according to a report by the Baltimore Sun. 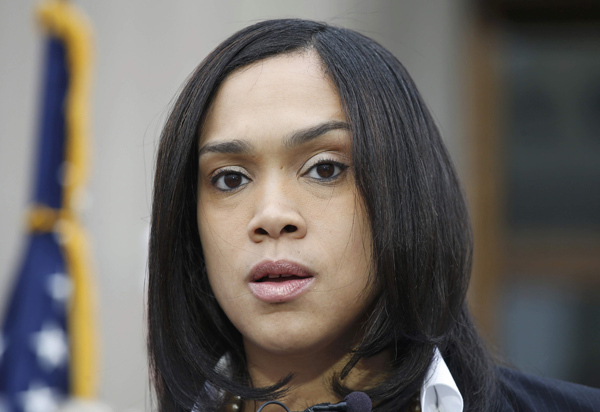 The suit goes back to statements made by Mosby at a May 1, 2015 news conference, which White and Porter claim that the city’s top prosecutor knew “were false,” according to the Sun. “These among other statements were made not for the purpose of prosecuting crimes that had allegedly been committed by White and Porter, but rather for purposes of quelling the riots in Baltimore,” the suit asserts.